I have placed a bulk pilot order. Most of it is 1.75mm, but I have about a dozen spools of 3.00mm (OK, really a near perfect 2.85 for the bowden :-P ). I'm selling these spools at essentially a group buy price of $39 with shipping included in the US only. Colors are lilac, light brown, and dutch orange. Limit of 1 spool per person to spread the love. If you happen to be able to pick it up locally in Newark, DE, then I will lower the price to $35. As a thank you, anyone who participates in this test order will receive free shipping on their first 3 orders when we move into higher volumes. PM me if interested and I can send you an invoice. I will try a lower temp, but for now just printing it with ultimaker pla. Besides the stringing I found that the colorfabb PLA/HPA also breaks much faster. Can this have to do with the temperature or is this just a difference between materials? Hi, if the PLA/PHA breaks much faster then I would guess the bonding between the layers isn't optimal. Perhaps because of slight extrusion problems? or maybe just printing to fast. For the stringing you can try lowering temperature (if the print speed allows for this), increase travel speed 250 mm/s, increase retraction speed 45 mm/s. You can also experiment with retraction distance. Looking at your printed part the last bit is probably printed to fast, it looks like the material might have needed a bit more cooling time. So you could also change the minimal layer time to about 8-10 seconds. This should mean the print will be slowed down towards the end, which also means you can drop the temperature by quite a bit. 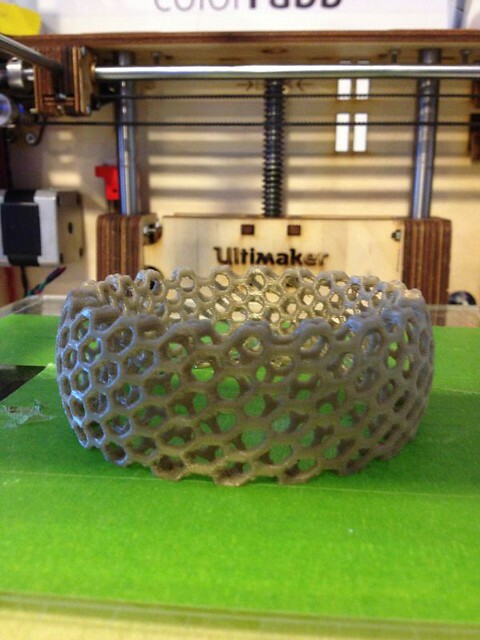 As an example, the bracelet was printed at 20 mm/s at 195 C. We used to print these at the normal temp of 215, but because of lowering the print speed the temperature can be reduced by a lot. Thanks a lot for the printing tips! I had some issues with stringing and melting layer issues with the 2kg pearl white filament I ordered. I have to say your speed of delivery is amazing! I ordered my filament (a boatload I might add) Wednesday, Friday morning it was all here . Hi! 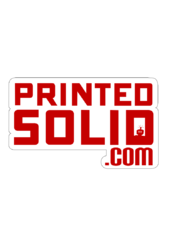 new on this forum, because we just bought an ultimaker2. And after reading this thread I've ordered two versions of the Colorfabb PLA/PHA mixture! Thanks for the input on temperatures, layers and speed, can't wait to try it out. Violet transparant & bluish white will be delivered this week hopefully and will certainly show you the results of the prints. PLA/PHA from colorfab is awesome to print models with grid type vents, this stuff does not break! I tried to break thru the OrangePiOne case and couldn't do it, also springs back to shape. I received a sample in my monthly Maker Box and will definitely be ordering some rolls.